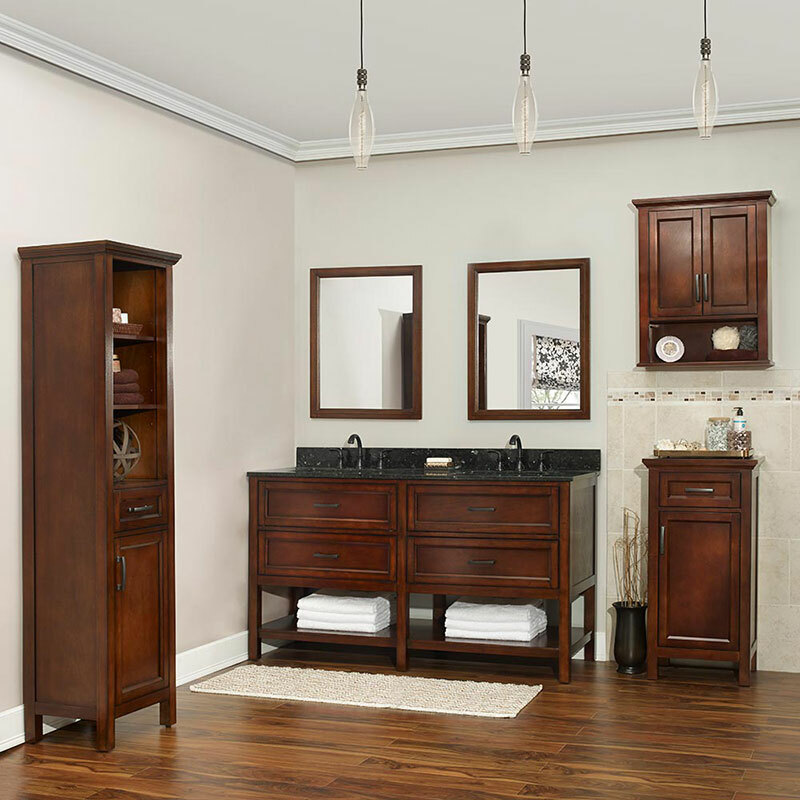 The Georgette vanity collection may seem simple at first, but this vanity was designed thoughtfully to maximize storage space. 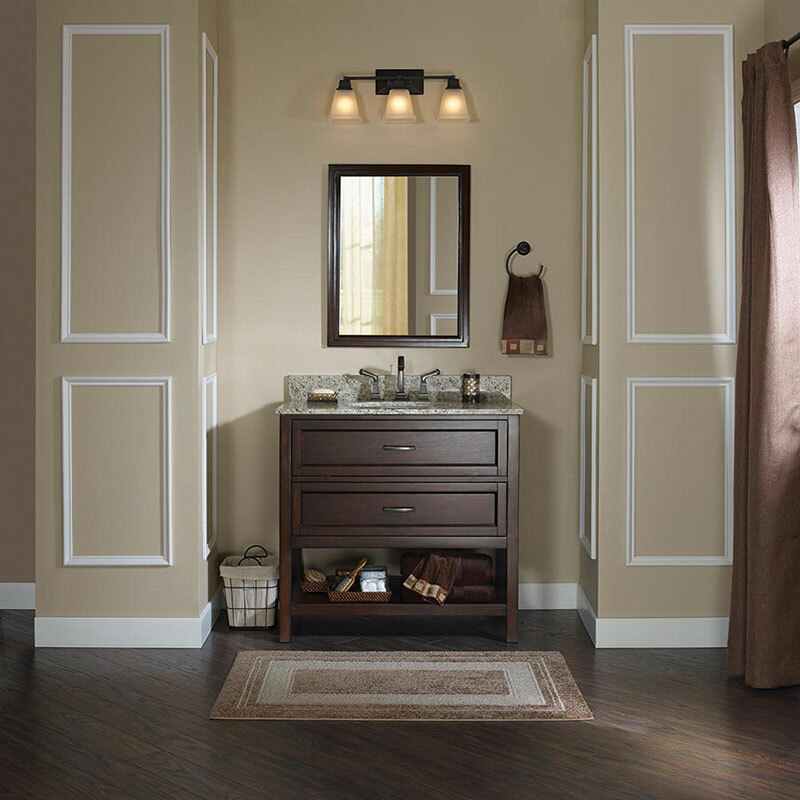 With the large interior cabinet and four drawers, you won’t have any trouble finding space for your bathroom essentials. 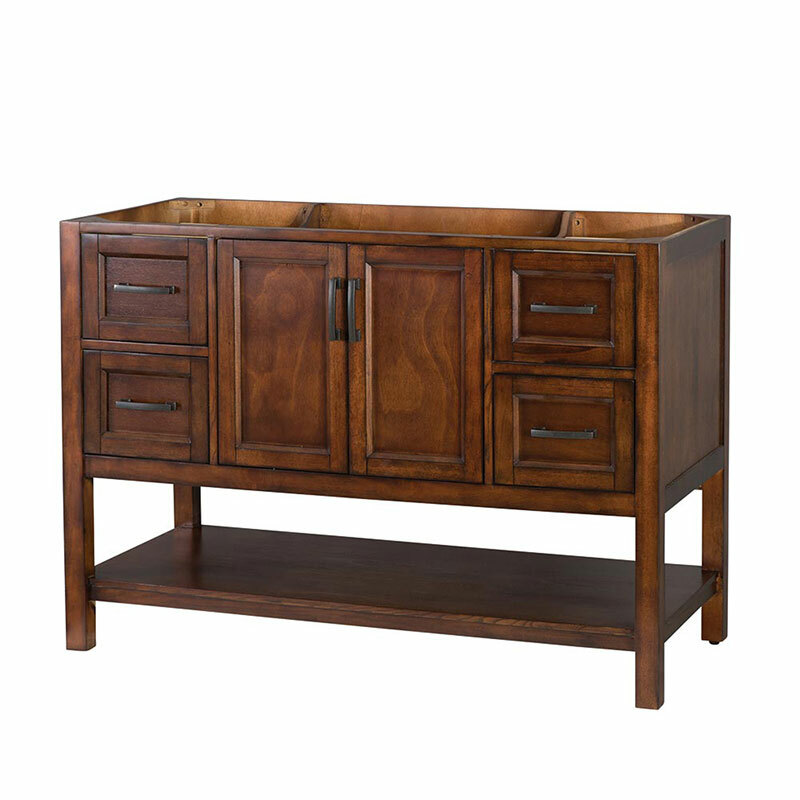 Below there is a shelf providing additional open storage for towels or other toiletries you want easy access to. With Georgette, sometimes the simplest design can make the greatest impact!